The Government of Belize, representatives of Belize’s fishing community, Environmental Defense Fund, Wildlife Conservation Society, Toledo Institute for Development and Environment and The Nature Conservancy presented Belize’s major achievements in sustainable fisheries at the conference. At the gathering of leaders and experts in fisheries management from around the world, Belize’s Minister of Agriculture, Fisheries, Forestry, the Environment, Sustainable Development & Climate Change, Minister Omar Figueroa, highlighted the major step Belize took in partnership with Belize’s fishing and conservation community to end open access fisheries, and implement the world’s first national system of multispecies fishing rights for a small-scale developing world fishery, called managed access. In some fishing areas, this system is already yielding benefits as fishermen are reporting higher catch, and illegal fishing has dropped 60%. We agree with Minister Figueroa – for Belize the oceans are “a matter of survival”. 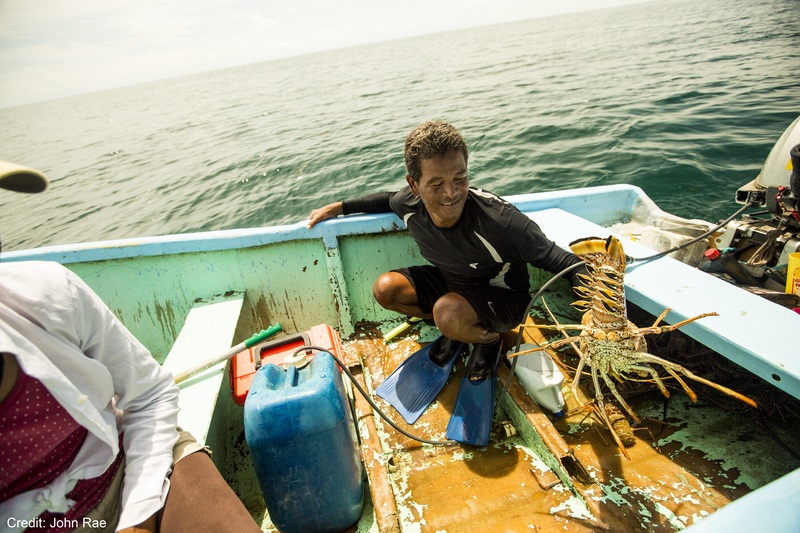 Further, Belize’s fishing community has the most at stake from sustainable fisheries and development. Cash Ramirez from Punta Gorda and Paula Williams from Punta Negra presented their experiences as fishers who are collaborating with fishery managers, scientists and community conservation organizations. They told the conference delegates first-hand why sustainable fisheries are important as a way of life for their communities. Belize has made major steps to protect its magnificent barrier reef, and the biodiversity and fisheries that live there. In doing so it has established itself as a global leader in small-scale fisheries management. Minister Figueroa announced a voluntary commitment that will secure those gains – to pass a modern, comprehensive fisheries act that will significantly strengthen the foundation for good governance of fisheries and collaboration across all stakeholders. Belize also committed to enact specific policies that will amplify fisheries recovery and rebuilding that is already underway with the end of open access and national implementation of the fishing rights policy. Minister Figueroa announced the implementation of science-based fishery management plans for lobster, conch and finfish drawing on adaptive management approaches (http://fishe.edf.org/) pioneered by the Belize Fisheries Department, EDF and WCS with support from a community of scientists and experts from around the world. Belize will also increase its no-take zones more than three-fold, from 3% to 10% of territorial waters. With these measures, Belize will ensure its fishermen and coastal communities continue on a path of sustainable development while also contributing to healthy reefs, more fish in the water, rich biodiversity, thriving livelihoods and food security. This entry was posted in Belize, International, Policy and tagged managed access, sustainable development, United Nations. Bookmark the permalink. Both comments and trackbacks are currently closed.